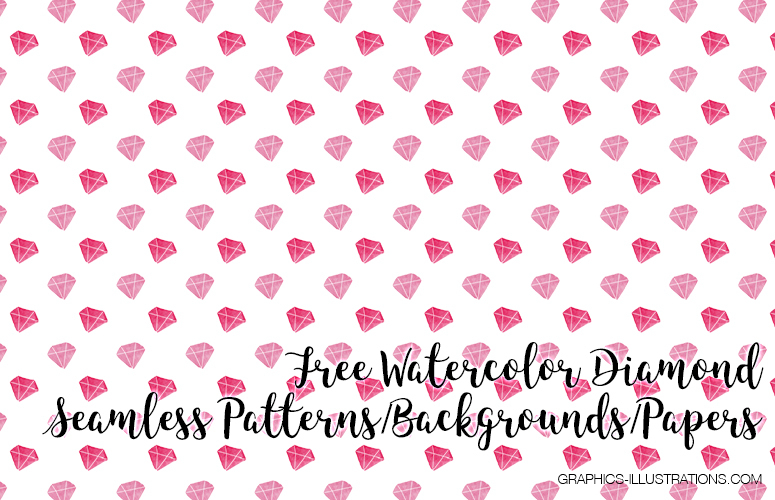 In this blog post I present Watercolor Diamond Backgrounds, Seamless Patterns – free “lite” download and a Premium, full version. Well! How is everyone today? Good? Thursday is on our back. So, we feel a bit exhausted but we do see the light at the end of the tunnel – Friday. Friday afternoon to be more specific. Any plans for the weekend? Whatever it is, I am sure you will enjoy it. 1. These are really huge, they can be printed out as “jumbo” posters (placards). 2. Since they are seamless, it means they can be “stitched” and the borders between them will not be visible, you won’t be able to tell where one ends and another one begins. Knowing that it becomes obvious – the final size is practically infinite. It’s simple, diamonds are in high demand today 🙂 the way we shape these precious stones is totally cool and therefore make a perfect decoration. Not to mention the symbolism. Diamonds come in different colors. 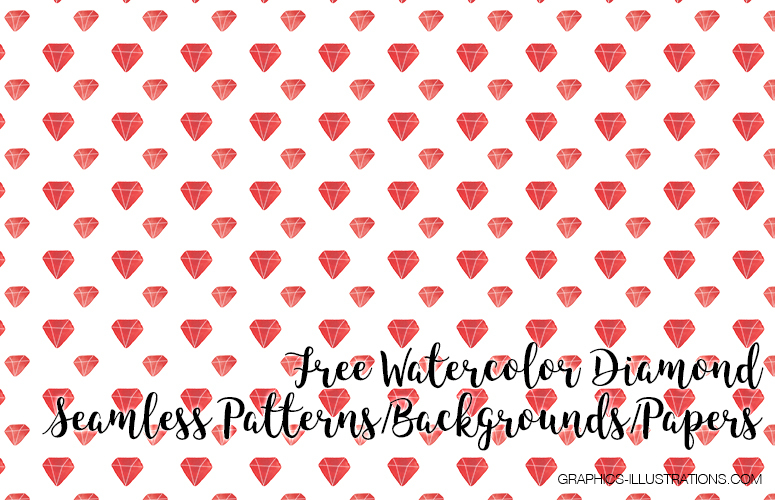 So, this pack that I created covers some of them and I think I even made some in colors inwhich diamonds don’t really exist. Or, at least, haven’t been discovered yet. All in all, as always, the “lite” and the Premium version come with commercial licences so you are free to use them wherever you see them fit. 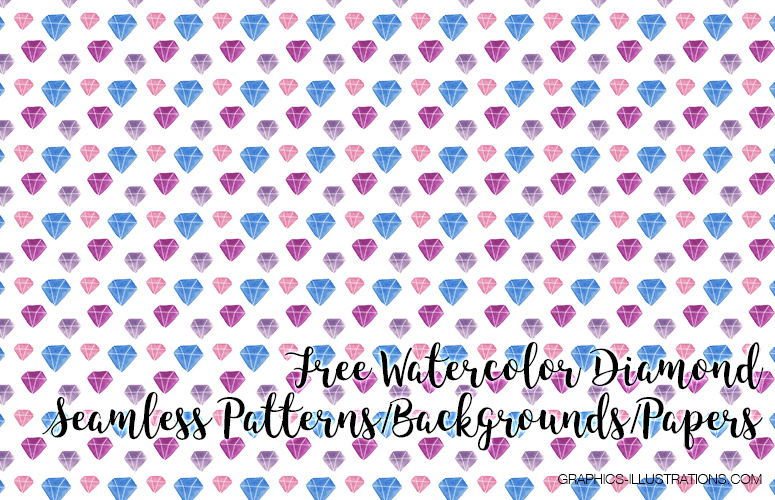 The Premium, full version can be bought right here, at Graphics-Illustrations.Com shop: https://graphics-illustrations.com/product/graphics/watercolor-diamond-seamless-pattern-backgrounds/. Free backgrounds are different from backgrounds offered in premium pack. Ok. That’s it, I hope you’ll check them out. Let me know your thoughts on this pack or life and the Universe, doesn’t matter. I would love to hear from you.